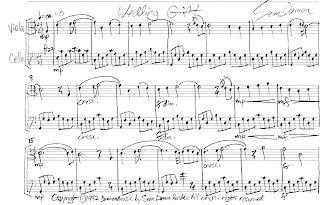 Many years ago, a violist asked if I would compose a piece of music for use at a wedding; something brief, bright, and of a spirit befitting the occasion. This little duet for viola and cello was the result of my effort. 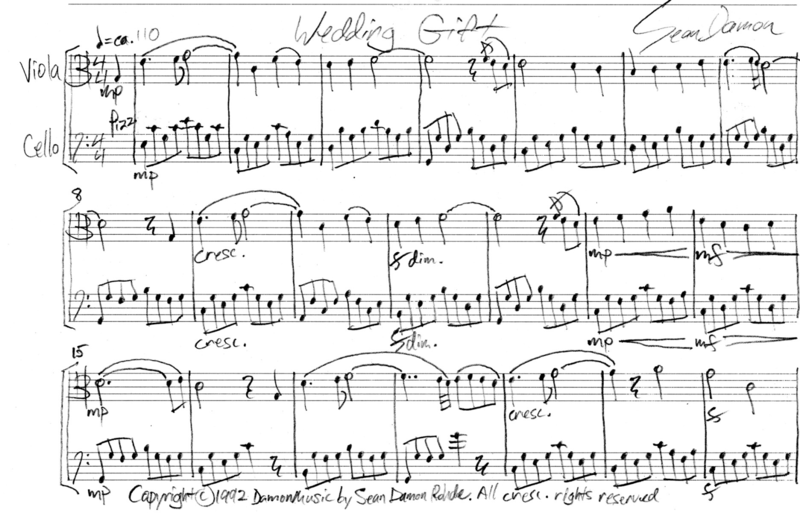 For this rather unusual combination, I composed a theme and a couple of variations.